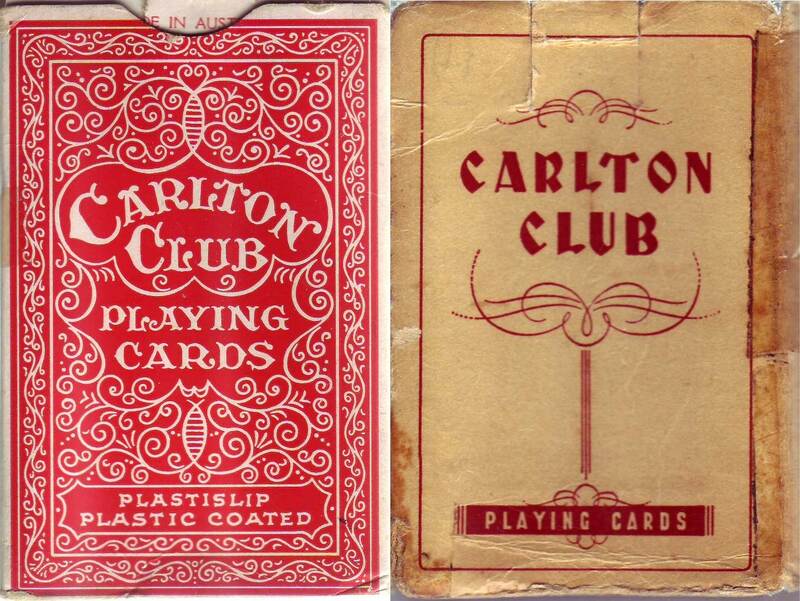 Hudson Industries Pty Ltd (proprietary limited company) of Rathdown Street, Carlton in Victoria first registered as a printing company in 1920. 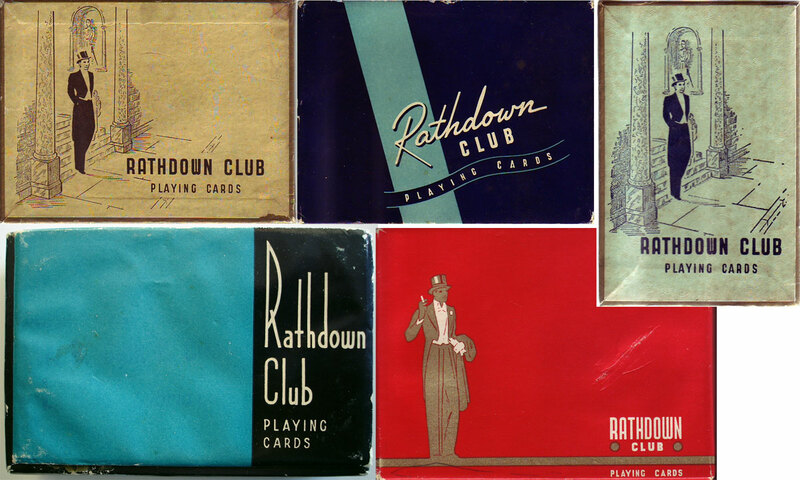 In the 1940s they registered their own distinctive ace of spades and joker with the Rathdown Club series being perhaps their best-known brand. 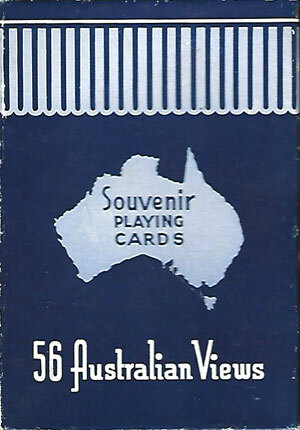 Other brands include Ambassador, Trump, Flinders, 493, Carlton Club, Country Club and Royal Court. 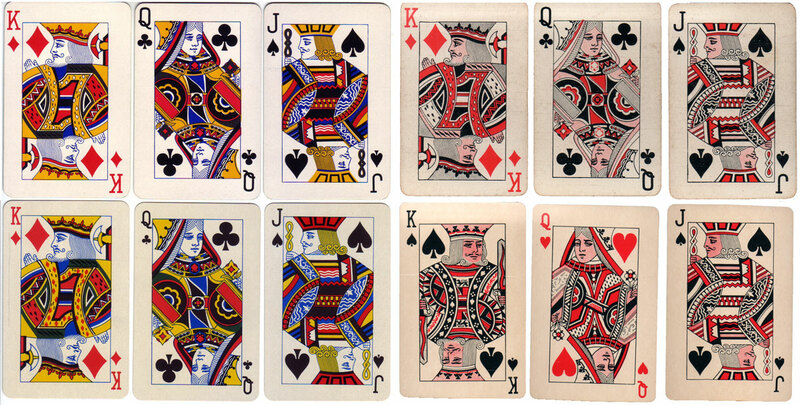 A lot of colourful back designs were also produced for “Canasta” sets. 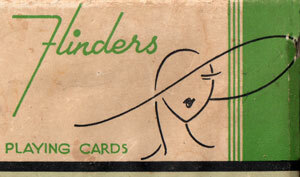 Hudsons subsequently sold out to Valentines in 1972. 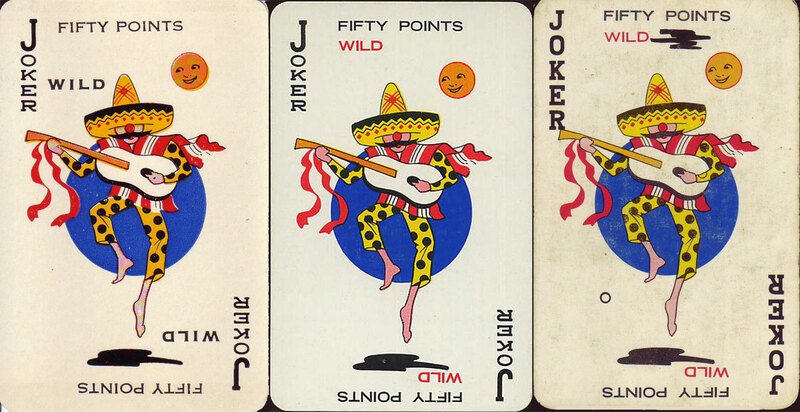 Hudson produced very few special decks/aces/jokers. 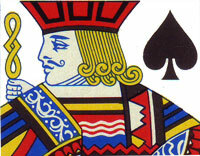 Above: Aces of Spades. 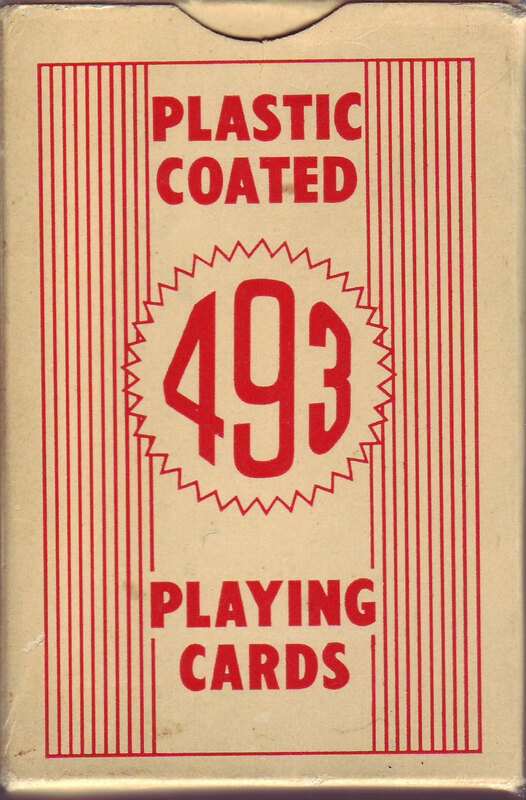 Aces start with a pointed base, then a flatter base into the 1940s. 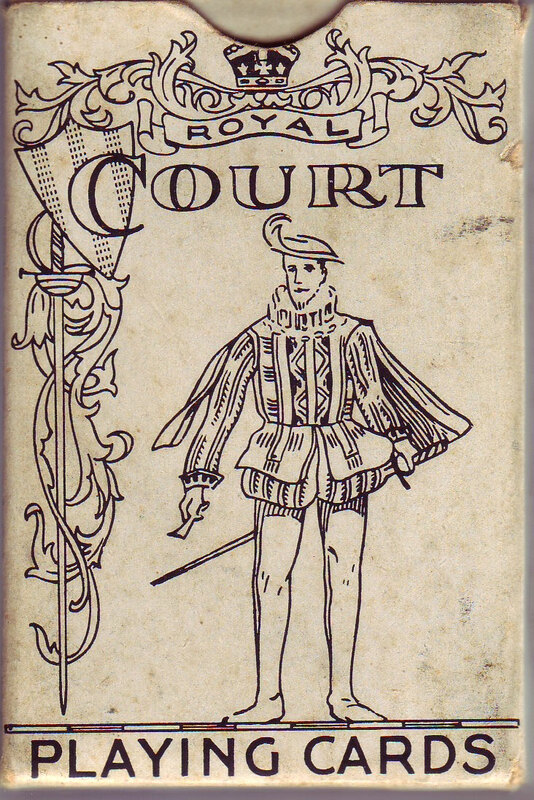 Next the new design that stayed right through to the Sands era (some have a number, others a rose-like symbol, maybe a printer’s mark or production code). The first Valentine aces are an amalgam of Hudson centre with Valentine wording. Then Valentines get the V logo in the centre. 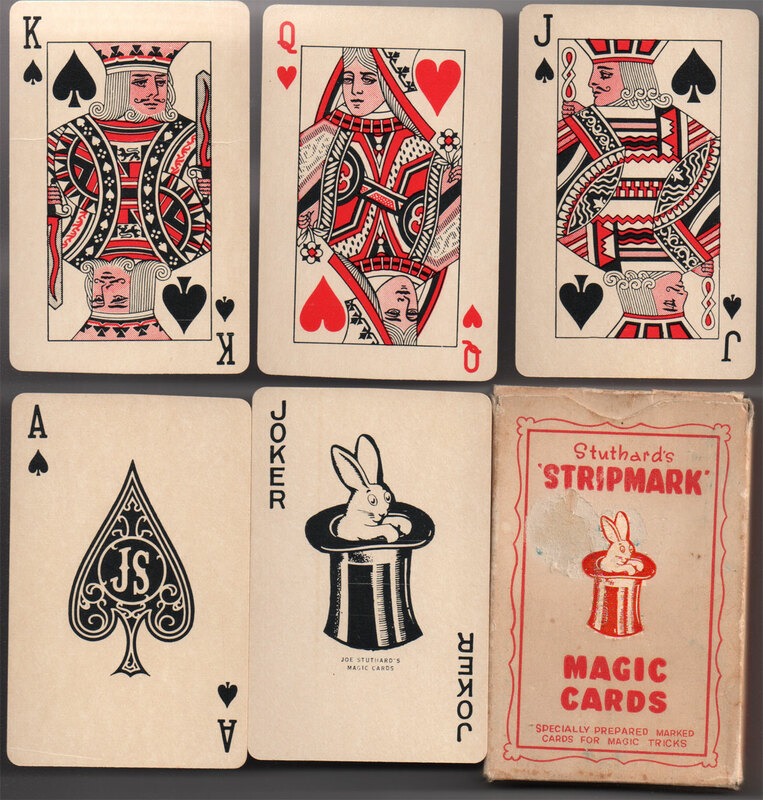 All except the first 2 designs have “Canasta” overprints as well as the normal issues. 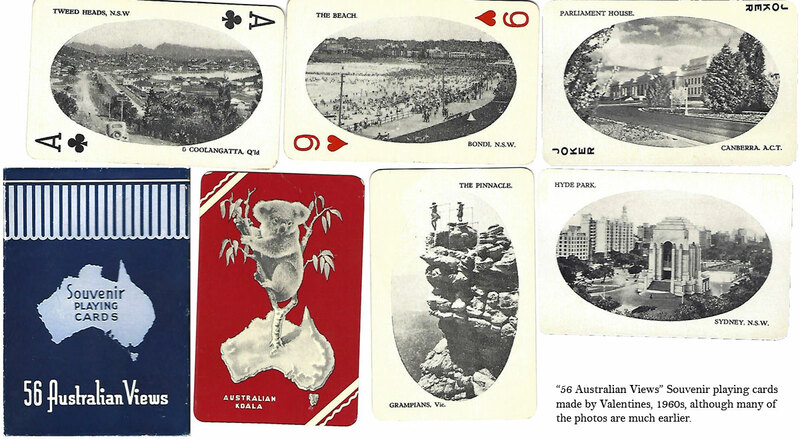 Above: Billabong dual deck by Hudson Industries, Melbourne, featuring two paintings by Peg Maltby, 1950s. Image courtesy Matt Probert. 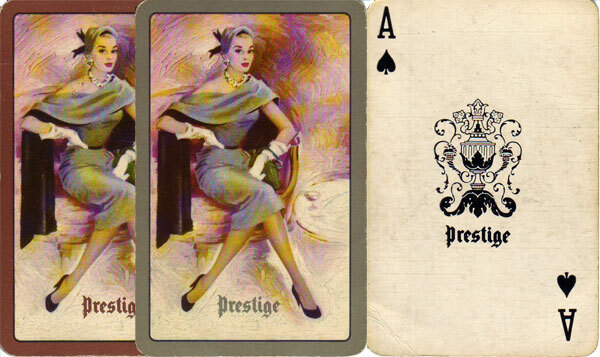 Above: “Prestige” playing cards, 1950s. Prestige was a women’s lingerie, hosiery and fashion manufacturer formed in 1922. 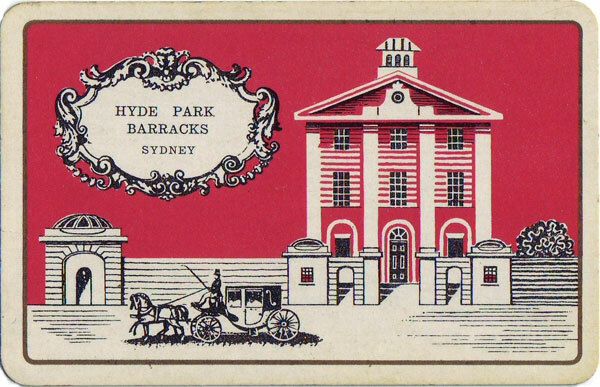 Above: Hyde Park Barracks, designed by Francis Greenway as a convict-barracks and first occupied in 1819. 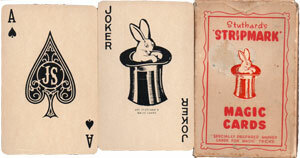 This deck and the one below contained the horseman joker seen above. 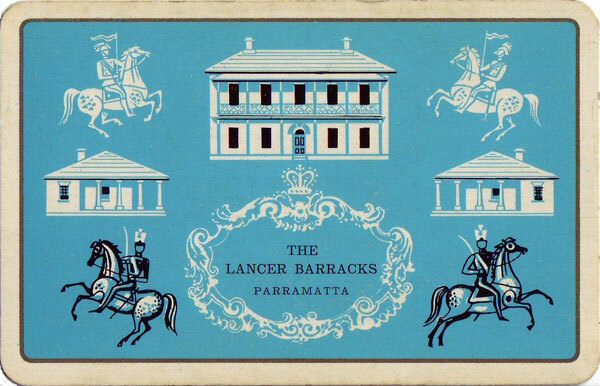 Above: Lancer Barracks, Parramatta, built in 1820. The barracks were designed by Lieut. John Watts who came to Australia in 1814 as a member of the 46th Regiment. He later took over the task of designing military and government buildings. 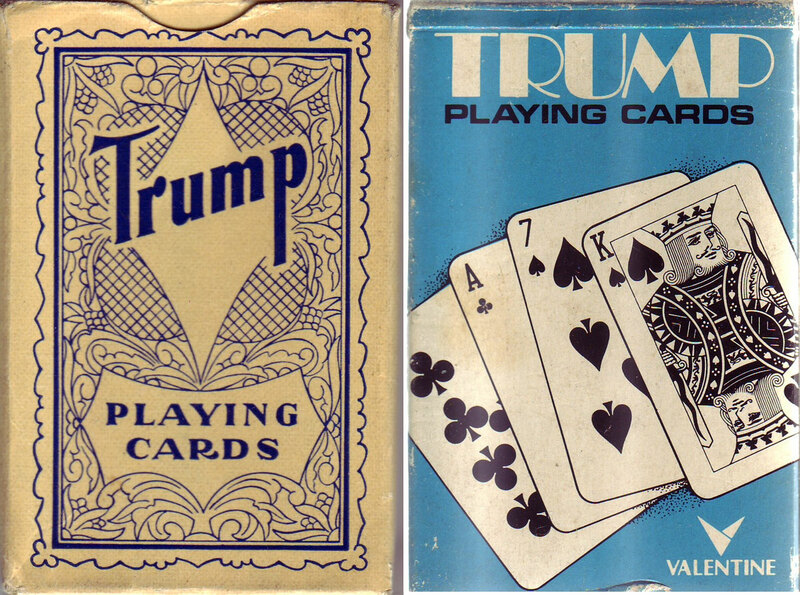 Above: two miniature decks by Hudson: a) Morley Toy playing cards, b) Junior playing cards, court cards in red/black only, 1940s or 1950s. Above: many early designs came in at least 4, and often more, colour versions. 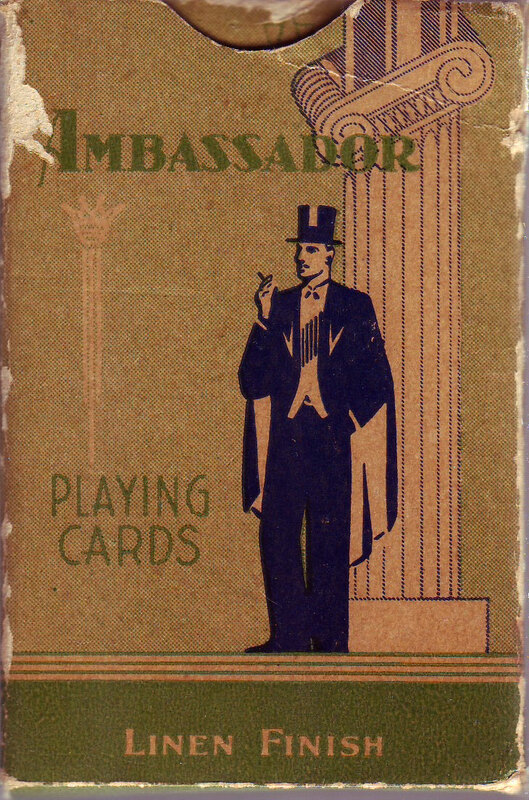 “Canasta” decks were a popular Hudson line, and there are a lot of back designs throughout the series. 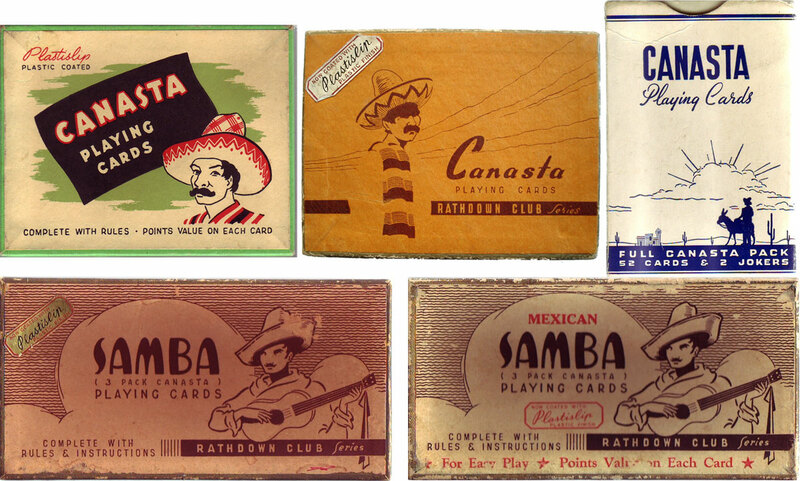 Above: assorted boxes for ‘Canasta’ and ‘Samba’, another variation on the Canasta theme, with romantic touristic Mexican imagery. 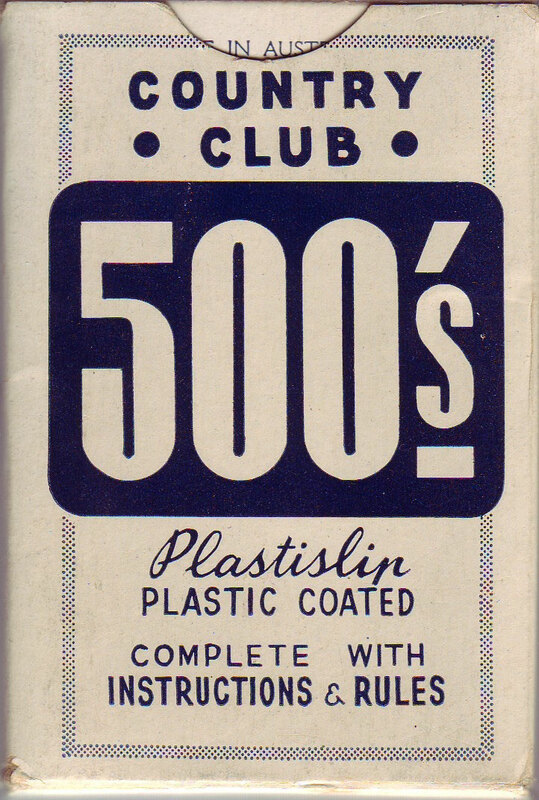 The ‘Rathdown Club’ series was still popular in the 1950s and the ‘Plastislip’ plastic finish had been introduced. CREDITS: images courtesy John Daniels, Jan Walls and Ken Lodge.